Summer style! Fashionista TrailblazerGirls will appreciate the vast selection of hats and bags available on Dynamic Asia’s website. We are big fans of hats. They protect your face from the sun, shade your eyes, hide “bad hair” days, and can add some style to an outfit. We tried 2 of the visor style hats that Dynamic Asia is currently offering. The Heathered Straw Sun Visor (SKU 690) is a casual, wide brimmed piece that’s especially geared for active pursuits with a comfortable, inner terry band. It keeps those beads of sweat from dripping in your eyes and because it’s detachable, it easy to wash and keep clean. The second topper we tried is the Nautical Rollup Sun Visor (SKU K086) which just screams take me to the beach. It’s so travel friendly – roll it up and secure it with the elastic band hidden under the oversized bow. Let’s not forget the beach worthy bags as well. Big enough to hold all your necessities such as a beach towel, sunscreen, water, snacks, and of course your hat! 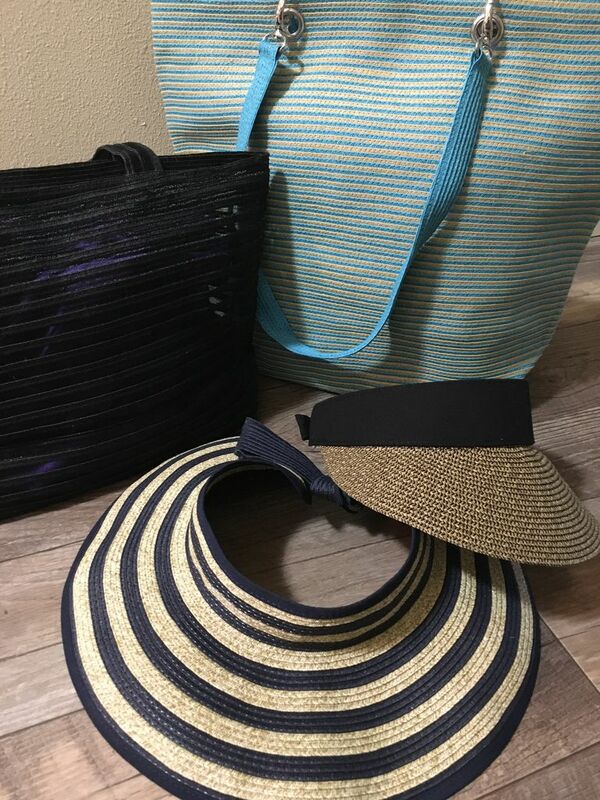 With over a thousand styles that are changing every month, Dynamic Asia is the place to find a dynamic selection of hats, bags and accessories at wholesale prices.